Feng Shui Color can make you look like a professional interior designer. Using color in you environment is the simplest and easiest way to add chi energy into your home or office. A simple can of paint that costs as little at $25 on a wall will completely change the energy of the room. There are 6 articles below that will help you in understanding color, it’s use and which color to pick. If you want in depth knowledge and understanding of shades, tones and colors check out the interior design and feng shui videos. For you to have peace in your life you must have everything you need to create peacefulness. Your life must be whole. Imagine driving down the road with a flat tire. You can get where you want to go, but with a flat tire it can be difficult, so you stop and fix the tire. Creating a whole life is like stopping to fix the tire. You would not think about driving with a flat tire, so why would you live a life that is not whole? Until now, we’ve been addressing your whole life, safety and reputation. Now we’ll begin to zero in on particular aspects of your life, going room-by-room to make your life more harmonious and flowing. Some ailments are generic to every room of your home. We will cover these in this section of the course. They will include the element of family, how to treat angled walls that have become so popular in architecture, the cause of arguments and the use of color to name a few. What about the location and operation of the bathroom? Do those banging doors bother you in more ways than one? What about the fireplace ? For the most part, room cures are treatments that can improve the effect of any room on you, not just specific rooms, such as the kitchen and bedrooms, which we’ll get to later. There was your whole property. Then your home’s interior as a whole. Building Blocks for a Beautiful Life is a journey through the understanding of our built environment and how it impacts our everyday lives. 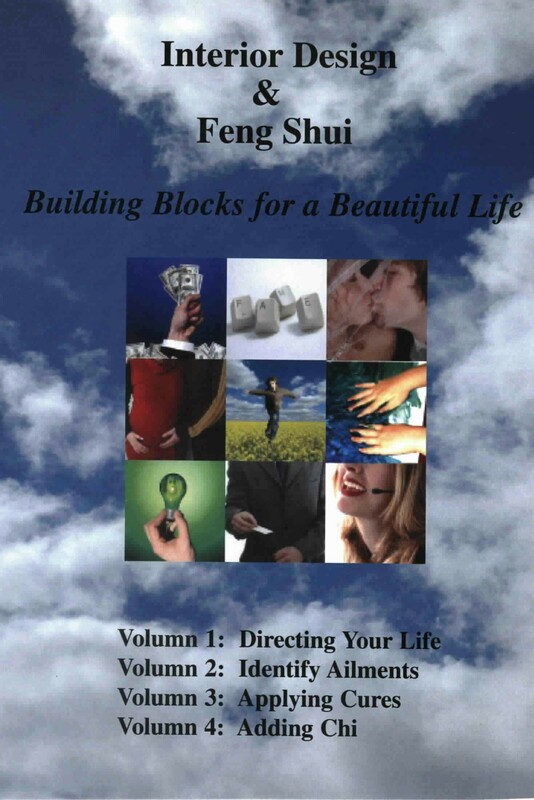 The four volumes will help you to identify the energy of your environment, how it is effecting you, teach you practical applications of Feng Shui and how to incorporate this ancient science using modern interior design principles and applications. These Building Blocks are the foundation of your life. Take charge of your environment and create the Beautiful Life you deserve. Candace Czarny, CFM, LEED AP, ASID is the president of Wind & Water Inc., a Certified Professional Interior Designer with over 25 years of experience in residential and commercial interiors, a Leadership in Energy and Environmental Design Accredited Professional, a Board Certified Facility Manager and a Feng Shui Expert. She is a member of the United States Green Building Council, International Facility Managers Assoc. and a Professional Member of the American Society of Interior Designers. Candace holds a Bachelors Degree from Virginia Polytechnic Institute and State University (VA Tech). She has completed a 5 year apprenticeship with a Feng Shui Master.